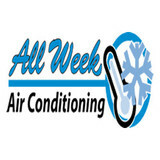 Dun Rite Heating & Cooling is a hvac contractor / air conditioner service serving the Nutley, NJ area. Services include HVAC, Emergency HVAC Service, Residential HVAC, Commercial HVAC, Air Conditioning, AC Repair, AC Service, Central Air, Air Filter Systems, Thermostat Repair, Air Heat Pump, Gas Furnace, Heating Systems, Hot Water Heating, Duct Cleaning and Duct Work. Serving towns of Clifton, Passaic, Bayonne, West Orange, Hackensack, Kearny, Teaneck, Montclair, Belleville, Fair Lawn, Garfield, Livingston, Lodi, Cliffside Park, Little Falls, Lyndhurst, Elmwood Park, Hawthorne, Rutherford, Palisades Park, Harrison, Secaucus, North Arlington, Fairview, Saddle Brook, Ridgefield Park, Hasbrouck Heights, Wallington, East Hanover, Pompton Lakes, Ridgefield, Little Ferry, Totowa, Maywood, East Rutherford, Bogota, Wood Ridge, Carlstadt, Rochelle Park, Moonachie, South Hackensack, Teterboro, East Newark, West Paterson and Woodland Park. What do HVAC contractors do? “HVAC” stands for “heating, ventilation and air conditioning.” An HVAC technician or contractor specializes in heating systems, air duct cleaning and repairs, insulation and air conditioning for your Southbury, CT home and other homes. Generally, Southbury HVAC contractors or HVAC technicians work with or run companies that repair or install heating systems and air conditioning units for homes. But they have specialized services too. For example, if you are a wine collector and you are thinking of installing a wine cellar in your Southbury, CT home, you might hire a Connecticut HVAC professional who specializes in refrigeration work. HVAC professionals can use their skills to help you to save money on your Southbury, CT home’s energy bills by installing radiant barriers in your attic or split-zone heating and cooling systems to heat rooms like solariums while cooling upstairs bedrooms during warmer temperatures. Find HVAC contractors on Houzz. 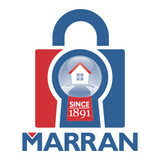 Look in the Professionals section of our website and search for Connecticut HVAC contractors. Read reviews and see how an HVAC contractor might approach your Southbury, CT home’s heating and cooling challenges.